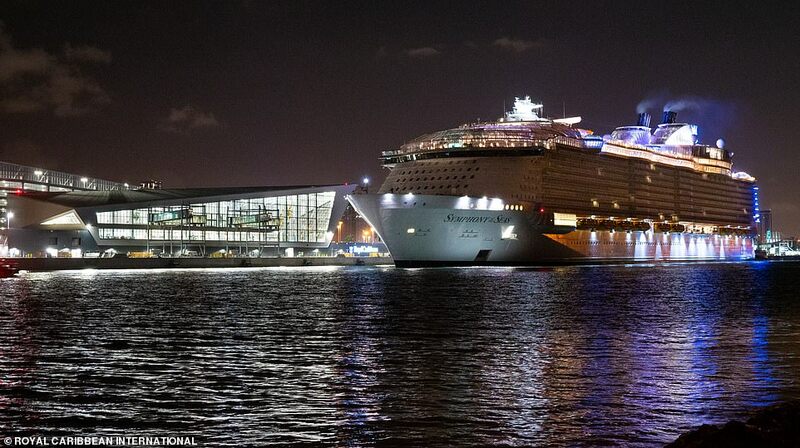 The world's biggest cruise ship has made its U.S. debut, with the enormous vessel casting a shadow on Miami. 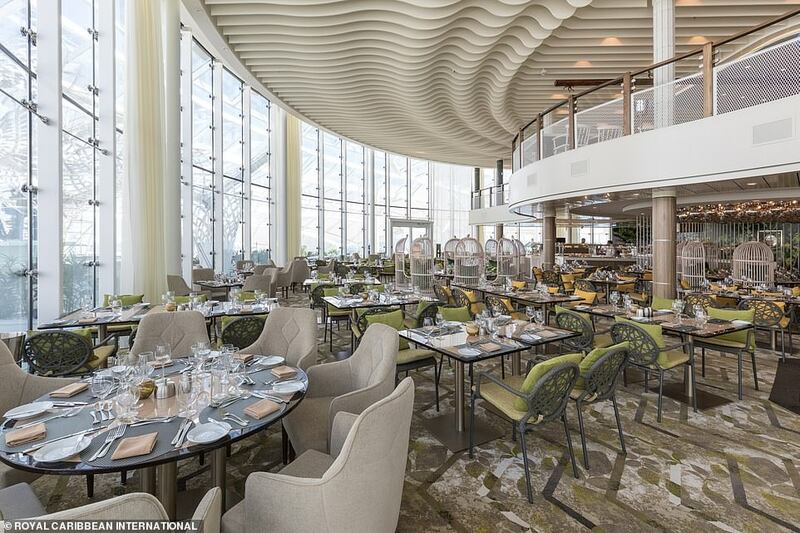 Royal Caribbean's newest liner Symphony of the Seas, which cost $1.35 billion to build, boasts 18 decks, 22 restaurants, and room to accommodate 6,680 guests. 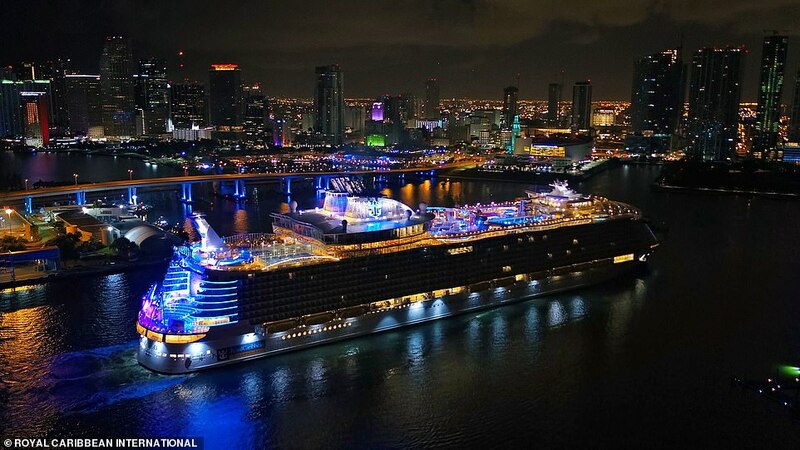 Newly-released images of the large vessel show it pulling into Terminal A at Port Miami at night, with it putting on a dazzling light display. The waterpark on the top deck can be seen, with its twisting slides illuminated. 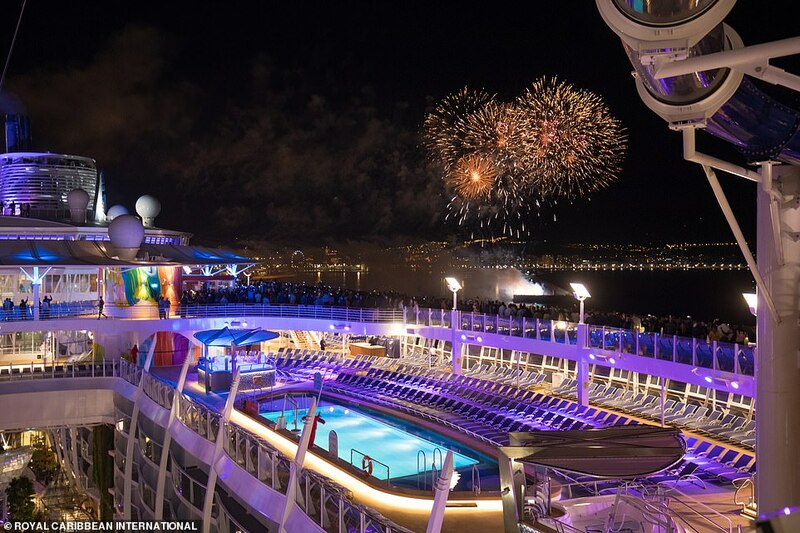 A lively firework display also marked the ship's arrival on Friday night, before it departed on a four-night voyage to Mexico. 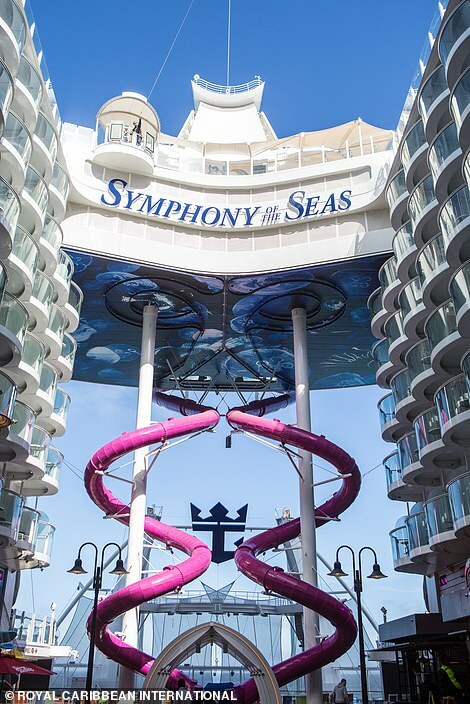 Symphony of the Seas - which is the 25th ship in Royal Caribbean's fleet - launched in March and took its first paying passengers in April. 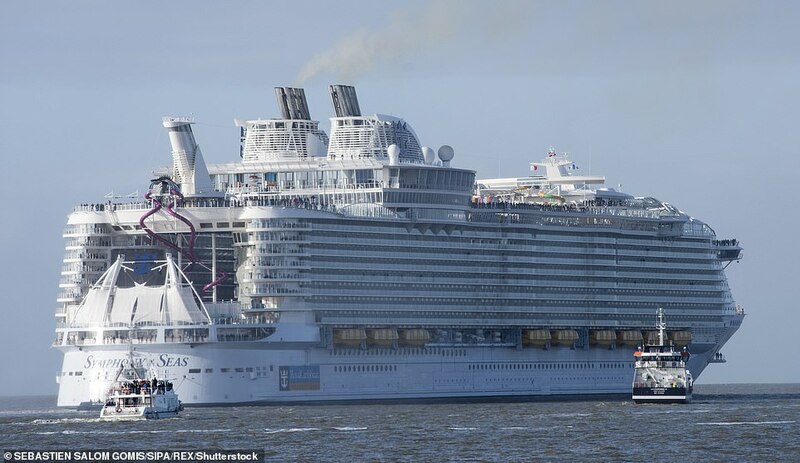 The boat measures 1,188 feet long, taller than the Eiffel Tower standing upright; and more than 215 feet wide. It kicked off its summer season in the Mediterranean with calls to ports in Spain, France and Italy. 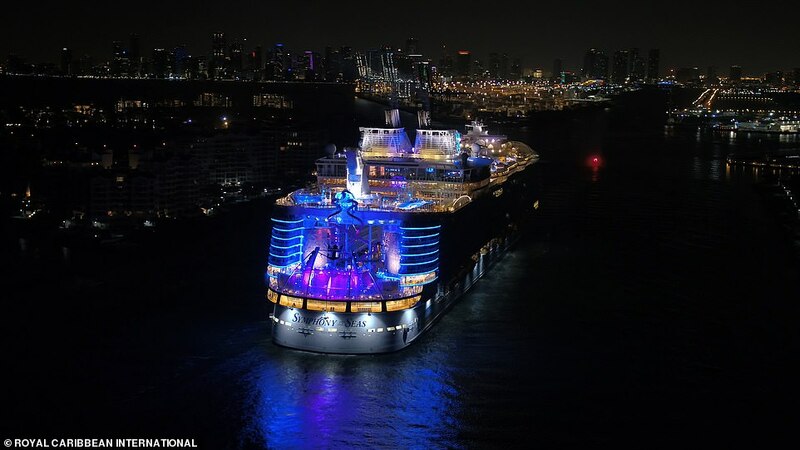 The adventure-packed ship will now make Miami, Florida, her year-round home, taking holidaymakers on seven-night Caribbean voyages. The hefty vessel has been deemed as 'the ultimate playground for guests of all ages', with a multitude of activities on offer. Along with having 22 restaurants, there are more than 40 bars and lounges, including one futuristic drinking hole where robots rustle up the cocktails. Other attractions include a zip wire, ice rink, mini golf course, climbing walls, surf simulator and a full-size basketball court. 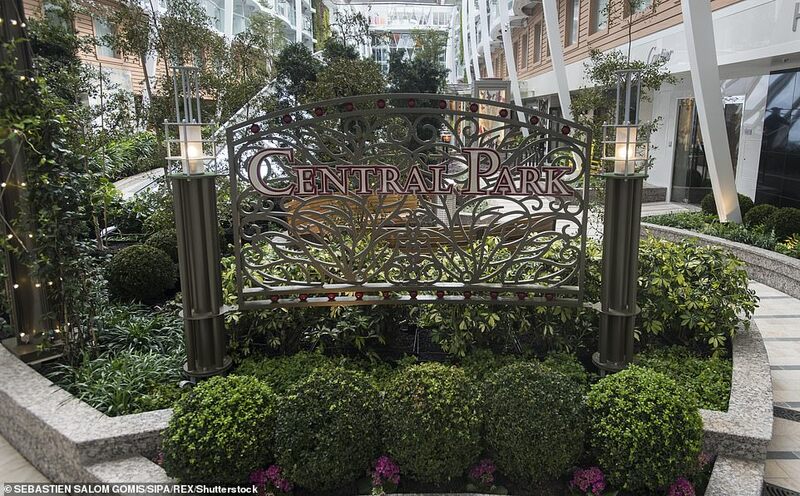 It even boasts its own version of Manhattan's Central Park, with the landscaped area decked out with more than 20,700 lush tropical plants and 52 trees. So guests can cool off after a day of non-stop activity, there are 23 pools and multiple water slides. One slide boasts the title for being 'the tallest slide at sea', with a 100-foot drop. Moving to the evening, there is a state-of-the-art theatre where Broadway-style shows entertain guests on a nightly basis. And for guests wanting to channel their inner-James Bond, they can take a spin on the roulette wheel at the on-board casino. 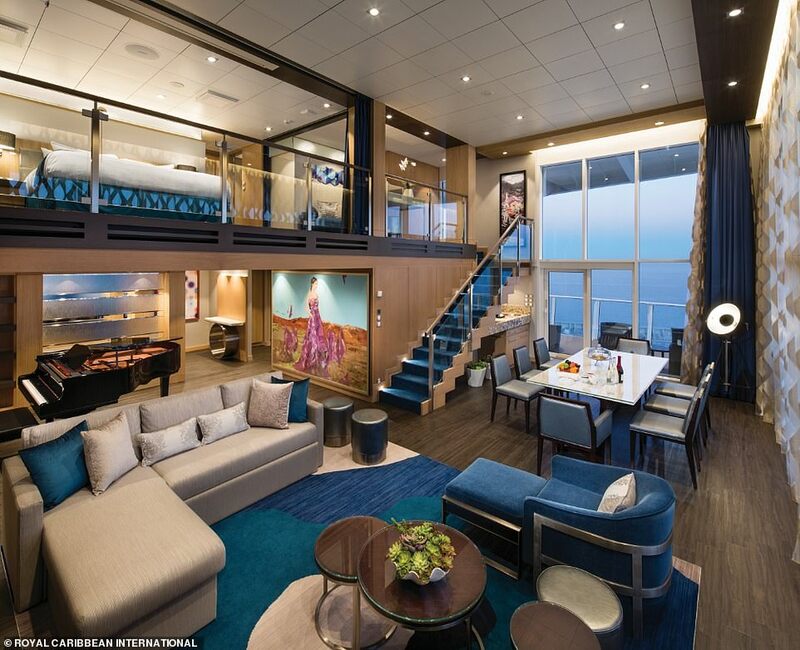 To end the night in style, the royal loft suite caters to passengers seeking a spot of luxury. The room features a mezzanine bedroom, a dining area to entertain and a grand piano. So guests can cool off after a day of non-stop activity, there are 23 pools and waterslides. One slide boasts the title for being 'the tallest slide at sea', with a 100-foot drop. 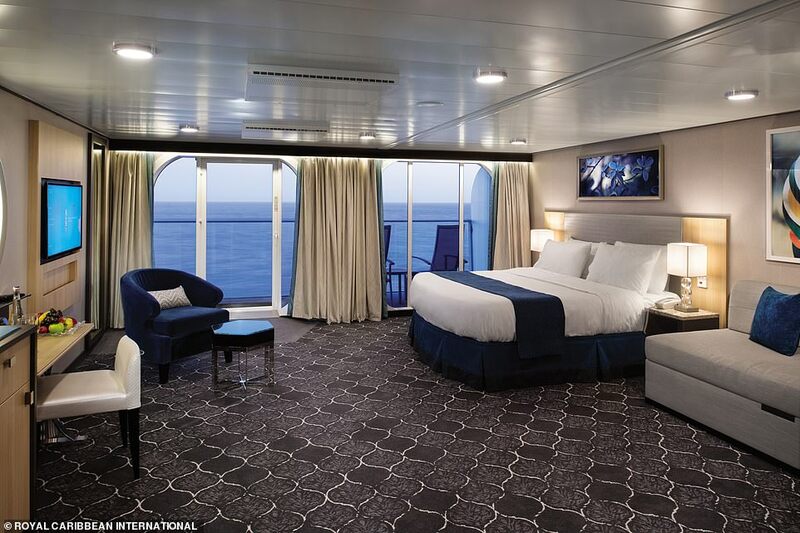 For the ultimate family cruise experience, there is a two-story suite on the liner designed with children in mind. 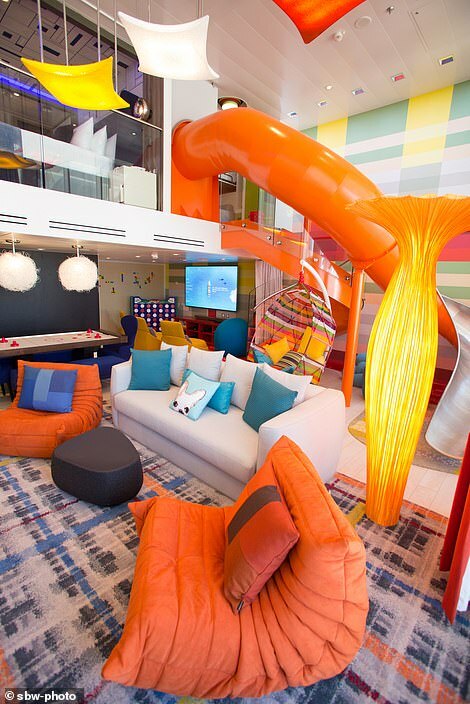 Perks include an in-suite slide, an air hockey table, a building block wall and a butler who is on call around the clock. 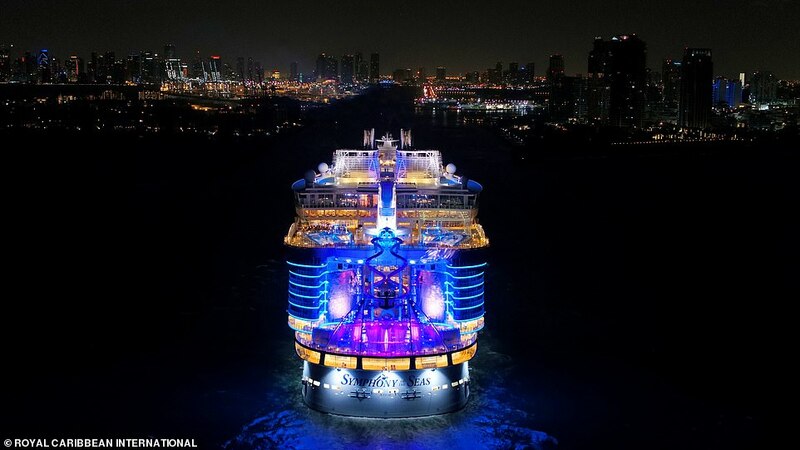 Commenting on the ship's introduction to the Royal Caribbean fleet, the firm's CEO Michael Bayley said: 'Symphony takes family vacationing to a whole new level with energy and options never before found in one place. 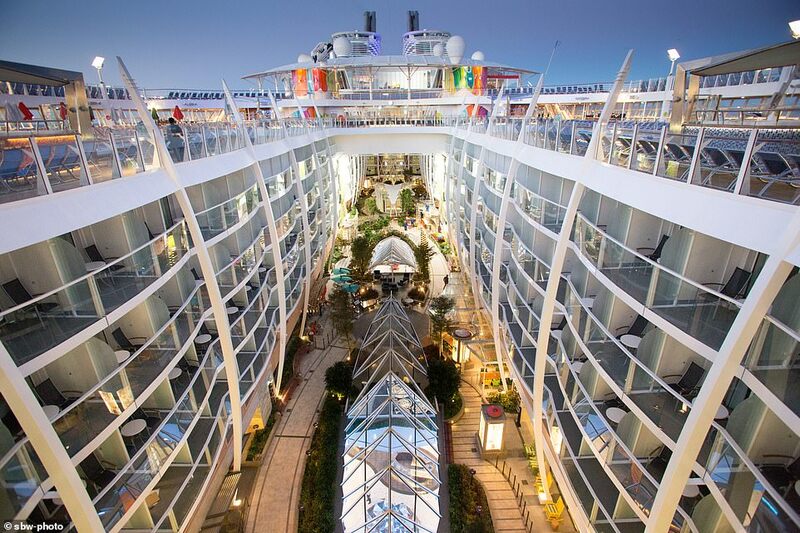 'This ship is the perfect blend of our greatest hits we know guests love and a lineup of vibrant, new restaurants, activities and unparalleled entertainment – all purposefully designed around vacationers' preferences.